That 80-year-old parent of yours may appear stubborn at times, and though he or she isn’t yet willing to listen to you about assisted living, and maybe you’ve dropped the subject a long time ago, they might be giving off clues that they’re actually willing to once again hear you out on this subject. 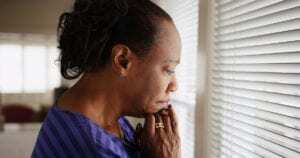 Below are three potential clues that some aging men and women give off when they are struggling at home. Even though they might have adamantly refused to even hear anything about assisted living in the past, these clues could give you new insight and a new hope that this is something they’re finally coming around to accept. Potential Clue #1: They mention their fear. Maybe it’s your 83-year-old mother who is now talking about fear. She’s afraid of falling. She’s afraid of being alone for the rest of her life. She’s afraid at night because what happens if she slips getting out of bed to go to the bathroom and she simply can’t reach the phone? What is she going to do? Having that kind of fear can either mean she’s already now (finally) thinking about assisted living or has other hopes in mind. Potential Clue #2: They talk more often about the burden of their home. Whether your elderly parent is living in a house, condo, townhome, or even an apartment, taking care of it, keeping it clean, replacing light bulbs, and so on can become overwhelming with age. The older a person is, the more physical limitations they face. As a result, they will likely reach a point in time when keeping up with the general maintenance and cleanliness of the house is too much. It’s at that time when assisted living could become appealing rather than seen as an option they don’t want to consider. Potential Clue #3: They reminisce about friends and wish they could see them more often. When a person reaches a certain age and begins struggling with their vision, hearing, mobility, reaction time, and so on, they may lose the ability to drive or even get around safely on the transit bus system, subways, or even via taxicabs. If their friends can’t visit them and have also lost the ability to get around safely on their own, they may talk longingly about those missed opportunities. While their friends may not be at a particular assisted living facility, they might know quite a few people if they’ve lived in the same town or city or region for a long time. Assisted living communities can provide a wealth of benefits to aging seniors and, even though an elderly man or woman may have discounted the idea some time ago, they might be giving off clues that they’re ready to once again talk about it, although they may be reticent to bring it up directly for one reason or another. If you or an aging loved one are considering assisted living in Theodore, AL, contact Ashbury Manor Specialty Care and Assisted Living at 251-317-3017.